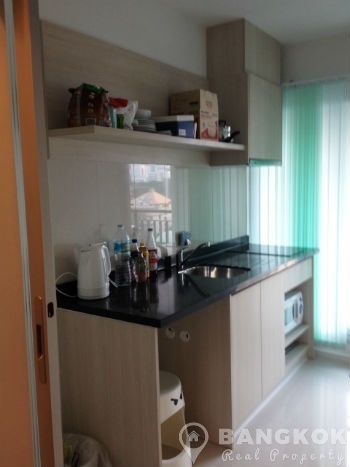 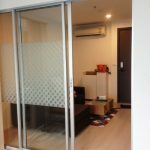 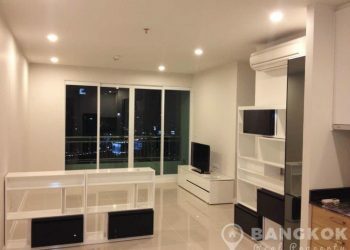 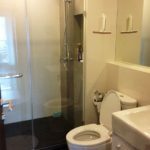 A modern, 1 bedroom condo is now available to rent at Rhythm Sathorn – Narathiwas superbly located Narathiwat road in the heart of the business district of Sathorn and just 9 minutes walk (710 metres) from Chong Nonsi BTS station. 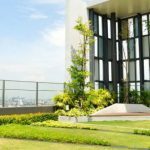 This high rise Bangkok condo built by AP Thailand, completed in just 2014 has great local amenities nearby including Empire Tower, The City Viva, Tesco Lotus, Singaporean Embassy, BNH Hospital, New Sathorn International School and Lumphini Park. 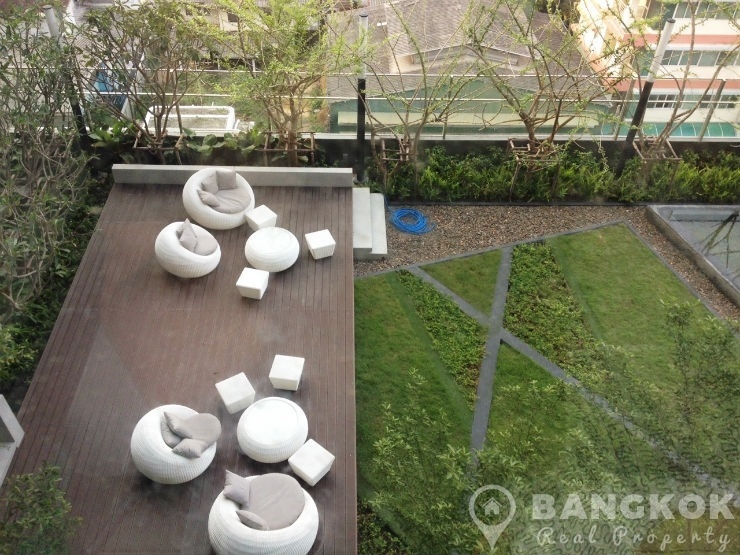 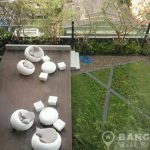 Situated on a low floor of Rhythm Sathorn – Narathiwas this modern condo unit is North facing overlooking the roof gardens and has 1 double bedroom, 1 modern bathroom and has 38 sq.m of living space including a balcony with un-blocked views city views. 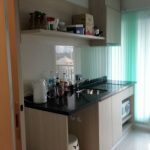 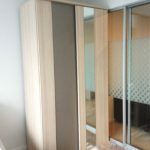 The unit is tastefully furnished with modern stylish furniture, wooden floors throughout, kitchen with built in units, electric hob, microwave and fridge-freezer. 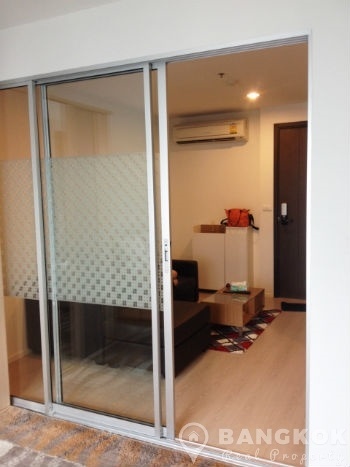 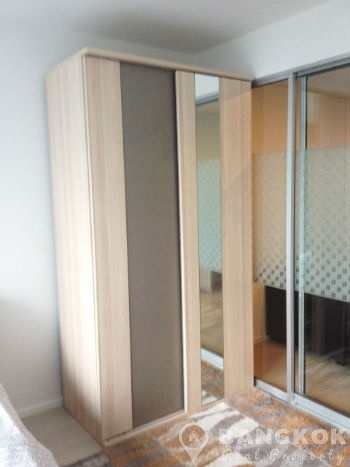 The double bedroom is separated from the living room by a sliding door which can be opened up for more space. 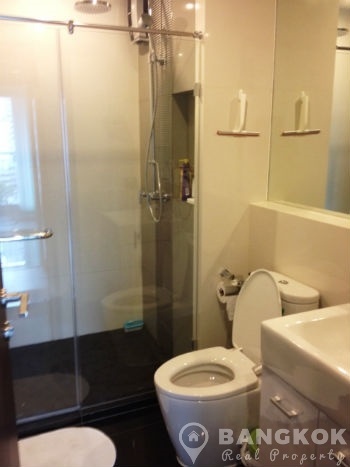 The bathroom is fully tiled with ceramic tiles and a rainwater power shower. 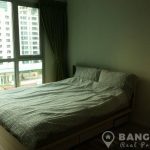 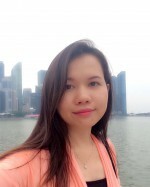 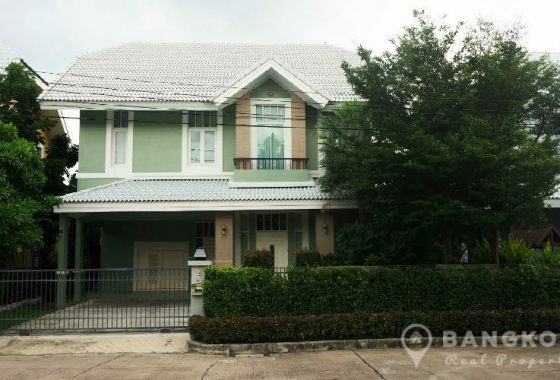 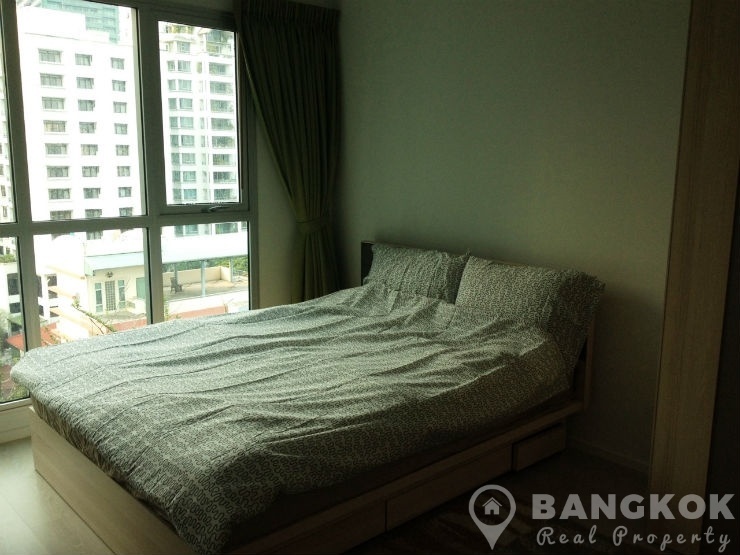 Rhythm Sathorn - Narathiwas is a high rise condominium project, developed by AP Thailand, located on Narathiwat in the heart of the business district of Sathorn and within walking distance of Chong Nonsi BTS station. 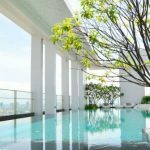 Construction of Rhythm Sathorn - Narathiwas was completed in 2015 and the project consists of a single building with 27 floors with total of 300 units.